I will say this right away, when I opened up this Temper And Hold record that I was sent to review, I was immediately impressed with the quality of the packaging and art. Sturdy, well designed and it just looks and feels like a serious record. No skimping here, so kudos for that. As far as the music itself goes, it's good but not great. The bands that come to mind when I'm listening to this are a weird amalgamation of Pinback guitar noodling and Rainer Maria style vocal melodies. Now for the record, I'm a huge Pinback fan, so I'm totally on board with that side of things, but I'm not quite as into the vocals. When the vocals are more subdued and are gently intermingling with the lower key moments of the album, it really does work and sounds pretty great. However, when things get a bit more intense, I'm not as into the louder wailing. 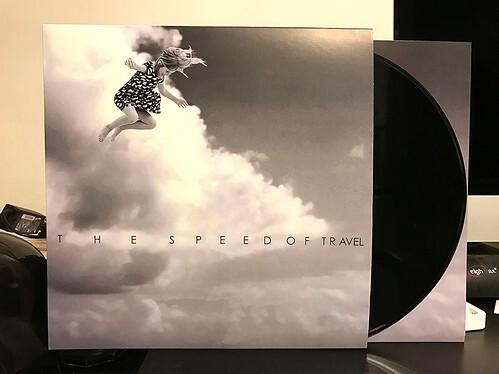 The Speed Of Travel has its moments and is a decent enough listen start to finish, but it never really clicks for me. Nothing on it is terrible, but it's just not the sort of thing I could see listening to very often.